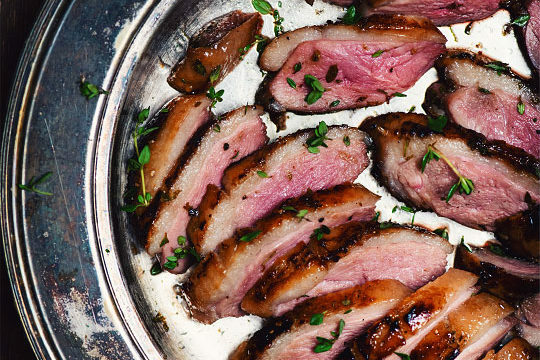 In my opinion, we do not cook enough duck breasts! Its flesh is tender, tasty and can be eaten medium-rare compared to other poultry. For this recipe, I combined the sweet side of maple syrup with the acid of lime to create the perfect marinade. 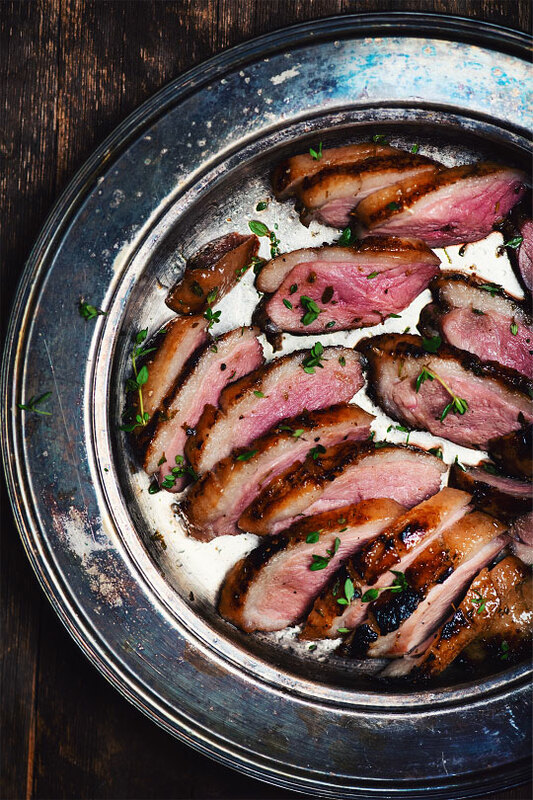 As the taste of the duck is relatively strong, it is suggested to marinate the breasts for 24 hours. In a bowl, add the ingredients of the marinade and season with salt and pepper. Mix. Place the breasts in an airtight dish and pour half of the marinade over them. Close the dish, mix well and reserve in the fridge for 24 hours. Shake occasionally. Preheat the BBQ at maximum power. Close one side and place the duck on the grates, skin side down. Close the bbq lid and cook for 5 to 6 minutes. Very important to always keep an eye on your duck, because the flames can go up and burn fast! Splash with the fresh marinade. Reduce the lit side to medium power and place the duck on them, flesh down, for grilling. Cook for 4 minutes and rotate 45 degrees. Continue cooking for 4 minutes or until 135°F for medium rare cooking. If there are too many flames, move the meat around. Remove from heat, put on a plate and cover with foil. Let stand 5 minutes before slicing thinly! 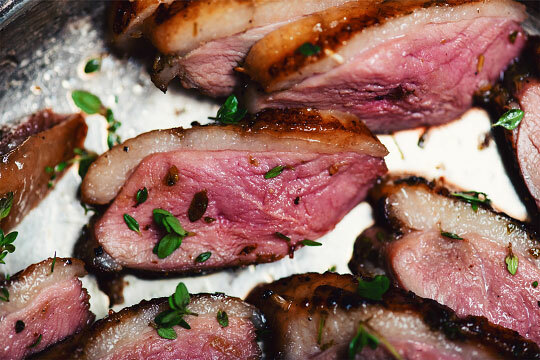 This solid pinot noir will make you even more fond of these duck breast with maple. Notes of chocolate and barley sugar with a long and complex finish. Enjoy your meal !